Play is discovery and exploration, and joy, and growth, and learning, and so much more. And for us play is serious work. So when we bring play to life, we do it with a commitment to the finest in craftsmanship and creativity. All of our products, from the newest concepts to our time-tested classics, are innovatively designed to inspire imaginative play and delight our consumers large and small. 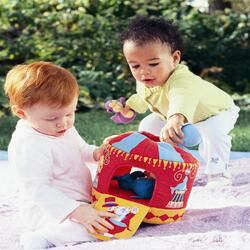 Our unsurpassed quality standards ensure that our toys are both durable and safe. 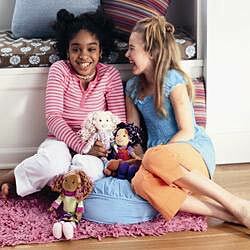 The Manhattan Toy family of brands � including Whoozit�, Groovy Girls�, Dr. Seuss�, Boogaloo Bath�, Puzzibits� and Manhattan Toy � offer more than 500 exclusive, original product designs distributed worldwide through more than 10,000 fine department and specialty toy and gift retailers. Each year we introduce hundreds of new toys, yet many of our original designs have remained consistently popular for decades. 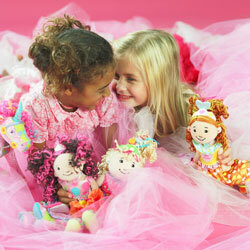 Click here to see some products MANHATTAN TOY has shared with ToyDirectory and TDmonthly Magazine.